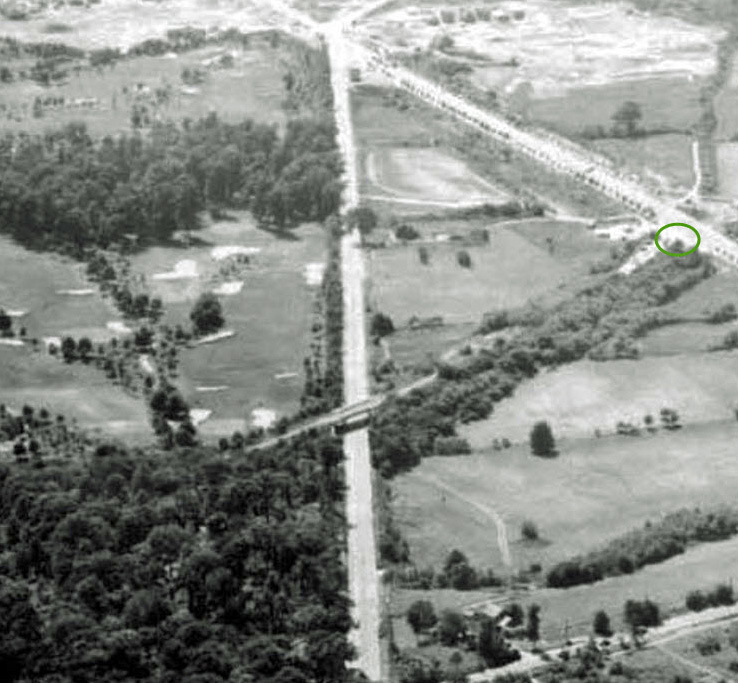 This is the only known ground photo of the Western Terminus entrance to the Motor Parkway in Fresh Meadows, Queens. The "50-Mile Drive" was actually only 44 miles. The Motor Parkway toll was dropped from $1.00 to $0.40 in 1933, when business dramatically declined due to the opening of the Northern State. Parkway. 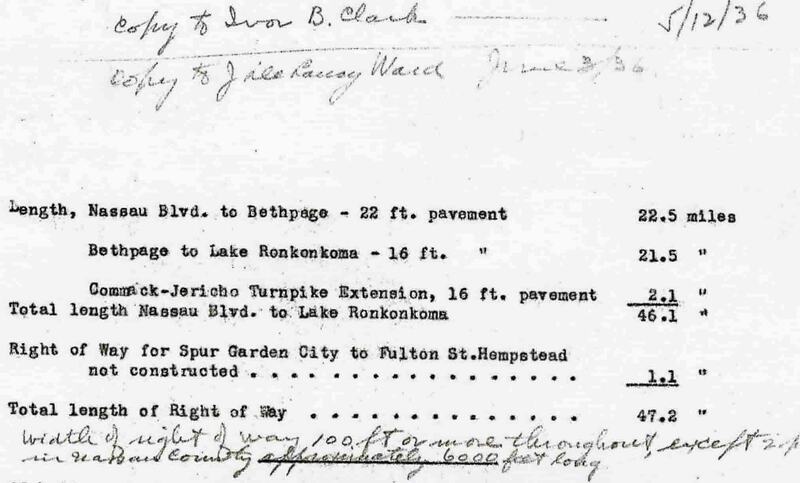 In this 1936 memo from the Long Island Motor Parkway, Inc, the length of the road was 44.0 miles plus 2.1 miles of the Commack-Jericho Turnpike Extension. There is an historical marker near there by the pedestrian overpass. St Francis Prep HS is on the southwest corner of Franny Lew and Horace Harding Expressway. I live right on the opposite side, on the westbound HHE. 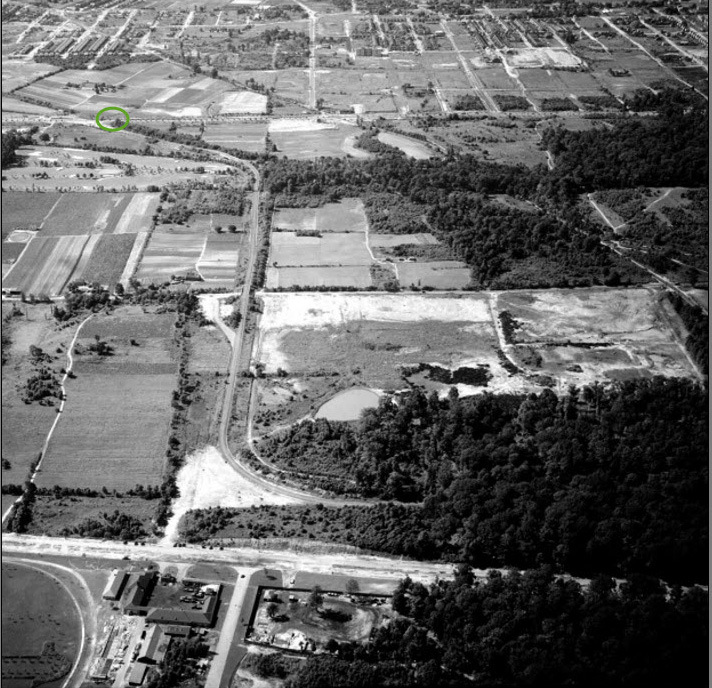 I’ve seen photos from the 1940s before the Clearview Expy and LIE where Horace Harding is actually a boulevard. Question….The LIMP was 16 ft in width after Bethpage Lodge? Or just at a certain point in the town of Bethpage? Franny Lew. Nice. Queens lingo. As a Westbury boy it was interesting to me that Howard tells me he found this picture at the Westbury library. Wonder how it got there. Wonder where this sign is now!